If not for Yang Chang Man, the priceless Raffles Collection could have been lost to the world. It is the most comprehensive record there is, and the largest collection, of Southeast Asian wildlife. Many of the specimens were collected more than a century ago from places in the region where the natural habitat has long since been cleared for industry and human habitation. Many of the species have become extinct or are very rare. The collection’s specimens are historical, irreplaceable, and priceless. Housed for years at Singapore’s National Museum, the collection was moved in 1972 to the then University of Singapore following the decision that the museum would concentrate on art and anthropology. The zoological collection, highly valued by experts around the world, was not a priority for Singapore in the 1970s when all attention was on economic development and material progress. For the next 16 years, the collection, comprising some 126,000 animal specimens, was shuttled in wooden crates to various places. During this time, it was painstakingly looked after by zoologist and curator Mrs Yang Chang Man and her small team of technical staff. A biology graduate from Nanyang University, Chang Man was a teacher before signing up with the University of Singapore’s Zoology Department in 1966 to complete a Diploma in Fisheries. She then worked at the Regional Marine Biological Centre. 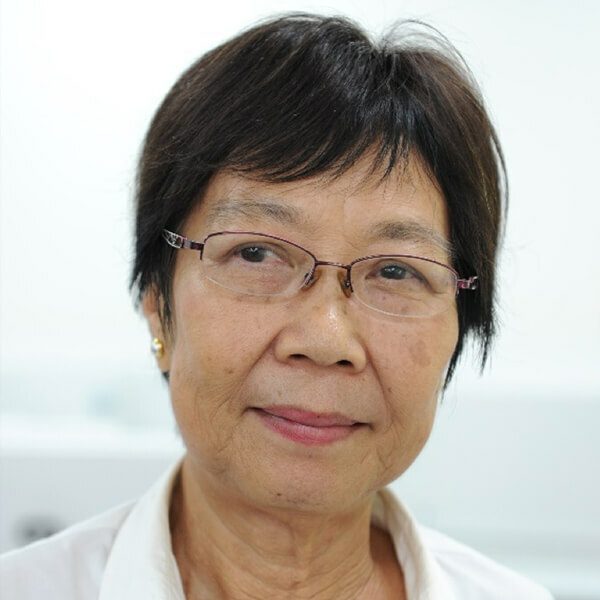 In 1972 she got an MSc degree for her study of the copepods of Singapore’s waters. This was also the year when she was appointed Curator at the Department of Zoology, which would soon take over the Raffles Collection. She had no experience of curatorship or of managing a century-old historical collection, and when she first saw the collection she was taken aback by its scientific and historical value and by the enormous task of caring for it. Her scientific training as a marine biologist proved useful though, and she set about the job of first creating an inventory and then figuring out how to care for the specimens and to manage the move from the museum. The first temporary home, in Ayer Rajah, was five Romney huts – huge airplane hangar-like buildings that had leaking zinc roofs and nothing much else. Her budget for the whole move, including transportation, was just $750. Chang Man had the leaks fixed, and fans and shelves installed. Then she and her team packed the specimens. Packing material was not available, so they scrounged what they could from the roadside – piles of old newspapers, cartons and wooden boxes. It took almost a year to complete the inventory, and specimens were then moved, in some 60 lorry loads, to Ayer Rajah. The collection, by now known as the Zoological Reference Collection, stayed at Ayer Rajah for five years. It was then moved to the Bukit Timah campus, where the collection had to be split up and stored at several buildings because no one place was large enough to house it all. Conditions were so bad at these premises that when in 1981 Japan’s Crown Prince Akihito (now Emperor Akihito), who is an expert on goby fish, visited Singapore and wanted to look at the collection’s goby specimens, Chang Man and her boss, the head of the Zoology Department, brought the specimens to him at the Istana rather than have the prince go to the university. When it was decided that Nanyang University and Singapore University would merge, there was immense pressure on space at Bukit Timah and the collection had again to move. The prospect arose of breaking up the collection and giving it to various institutions in Malaysia, or to sell it to museums abroad. Eventually, space was found in Jurong, at the Nanyang University (now the Nanyang Technological University), where the collection was housed until 1987. 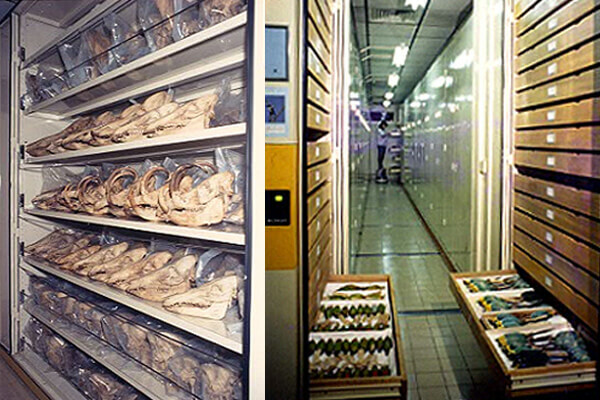 When the National University of Singapore (NUS) moved into its Kent Ridge premises in 1980, the collection finally had a proper home, with custom-designed storage facilities in a controlled humidity environment. 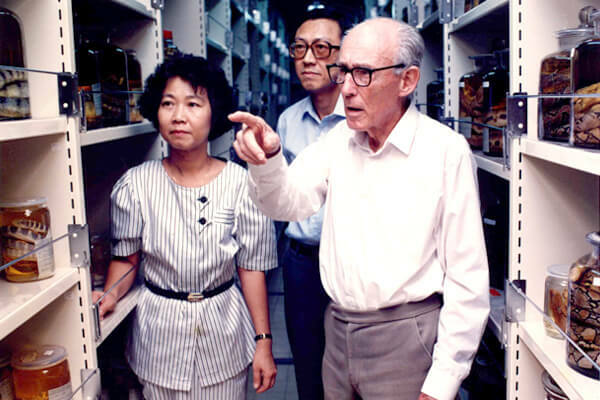 In 1998, NUS set up the Raffles Museum of Biodiversity Research to manage the collection. In 2015, the collection moved into the Lee Kong Chian Natural History Museum, a striking new building at Kent Ridge. 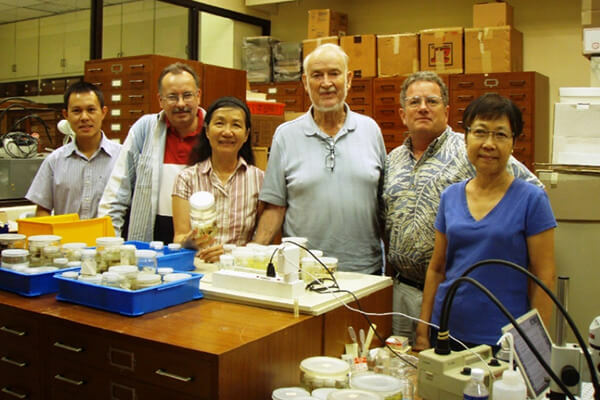 The museum aims to be a leader in Southeast Asian biodiversity research, education and outreach. That it has at the core of its exhibits and specimens the irreplaceable items of the Raffles Collection is largely because of the care and dedication of Chang Man. She is now an honorary research associate at the museum where her area of interest is aquatic bugs. She has discovered more than 30 new species in the region. In 2015, Chang Man was a co-editor of the book “Water bugs of Singapore and Peninsular Malaysia”. “That is my job and my responsibility to curate and maintain the collection in good condition for the future generations.